I bought a 2019 Jetta R-Line! I was amazed at the price! This car has front and rear heated seats and even a heated steering wheel. It drives awesome with the turbo and when I drove into work today it is showing my average is 38.7 overall mpg ! They also gave me more than some other dealers allowed on my trade! I was in a headache situation and they could have tried to get more money out of me but they didn't. They made the process quick and smooth. I love this car and it is SO fun to drive. It looks classy, not cheap. It even has a full sun roof. The price for this one was $21,700 after rebates. I am extremely happy. Thank you Guys..
Hallmark helped us out so well! 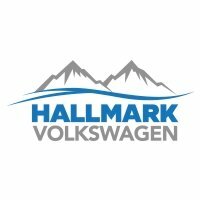 We are tourists and had to buy a car from our home in germany to drive in the US and Hallmark did everything to help us although there were many difficulties. Our salesman even lent us his phone to get an insurance for the car when we arrived to pick it up. They patiently answered every silly question we had and answered very quickly. The car is perfect, the service was so overwhelmingly perfect and everybody was just nice and friendly. Couldn`t have made a better choice. Thank you for everything, without you our trip wouldn´t have been possible at all! I had a 2015 passet that Rudy sold me back in 2017, he was really nice, funny, and not pushy at all. I called him up and told him I was looking to buy a new car, and I was looking at a 2019 Tiguan everything in it. He got on it. I only had it for a week now and loved it. Rudy is the best even to joke with. I’ll tell anyone to choose him. Great and friendly service everytime...highly recommend! Was as expected. Went to get 2nd set of keys for volkswagon. Waiting for key fob to come in to orogram. It was a quick process and I never felt pressure at all. Comfortable environment and I love my new car!